El enemigo is the first of three films that the artists had started when they arrived in Barcelona in summer of 2008 and ended a few days before May 15, 2010. The enemy emerges as an oblique portrait, between fiction and reality, by a generation of producers from the local context of Barcelona, ​​gathered in a flat in the Eixample neighborhood. Pop culture, biopolitics or revolution are axes from which the film discursive body interrogates itself about the figure of the enemy in contemporary late-capitalist societies and at the same time raises a question: Is a revolution possible? Now, ten years later, outside that flat in the Eixample, Asue Arrieta and Vicente Vázquez start Reforma, name that they chose for the second part of the trilogy. This new proposal revolves around the construction of Via Laietana, a Barcelona street built at the beginning of the 20th century to connect the Eixample with Ciutat Vella. Vicente Vázquez has been collaborating and publishing his activities in the field of cinema and visual arts since 2002. Trained as a visual artist, his contributions in the field of image-time, the production of objects and the formulation of the social have been shown in national and international public and private institutions, as well as in film festivals. In 2013 he co-founded Tractor Koop with Usue Arrieta, an artist’s cooperative based on the operating model of the truck drivers’ cooperatives. Together with Nader Koochaki and Usue Artieta, they founded the editorial project -zko. Some of his last exhibitions are As near as zero as one pleases, THIS, New York; Ocho diez, seis o siete lobos, Fundació Joan Miró, Barcelona; Contra Tapies, Fundació Antoni Tàpies, Barcelona; 1813 Asedio, Incendio y Reconstrucción de Donostia, San Telmo Museum, Donostia; Resonance, Goethe Institute Wyoming Building, New York and 98 weeks, Beirut. 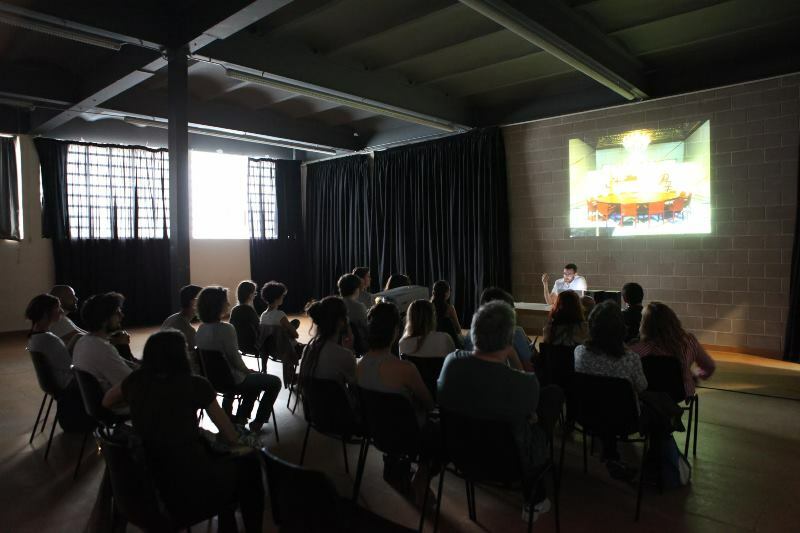 His videos have been programmed at CGAI, MNCARS; La Casa Encendida, International Film Festival of Las Palmas, International Documentary Film Festival of Navarra Punto de Vista, FMX, Mar de Plata Festival or Cineuropa (Santiago de Compostela). Recently the Anthology Film Archives of New York has made a double program with several of his films.